While our teenage years are dealt with issues of acne and excess tanning, 20s is the best time our skin goes through, partly because we become conscious ourselves and partly because it is the transition period to transform to a woman from the sweet little girl. But once we hit 30s the issues with our skin again starts to surface. Now why is that so? Let us discuss that. Once we hit our 30s we go through a lot of hormonal changes. This may affect directly to our skin, causing issues like adult acne, eczema or rosacea. So what exactly happens? Estrogen is the hormone that is responsible for the skin's luminosity and elasticity. It promotes collagen which is the building block of our skin and during our 20s our estrogen level is the highest , resulting in the best phase for our skin. 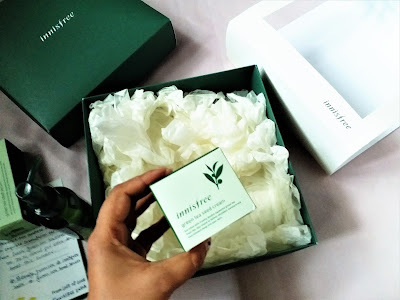 But with increasing age the level of Estrogen decreases and therefore the collagen promotion lowers resulting in signs of ageing mostly with loss of elasticity, fine lines and other skin related issues that are mentioned. The other form of threat are external causes like excessive exposure to sunlight, pollution etc. Personally my skin underwent a lot of changes, and actually once a oily to combination skin turned absolutely dry and dull. Antioxidants that are said to prevent damage caused by free radicals are the best source to protect our skin. We can include a substantial part of antioxidant in our food as well as through a good skin care regime that will keep our skin hydrated and protected. Innisfree, a leading Korean naturalism Skincare Brand has recently launched its Advanced Green Tea Range in India. The Green Tea Range. 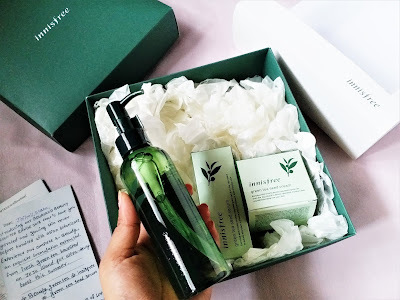 This range focuses on advance moisturizing with the power of a special moisturizing agent called "Beauty Green Tea". 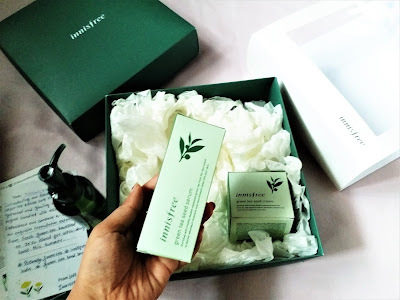 This range has a dual moisturizing power with extracts from green tea as well as green tea seed. More information of green tea seed oil and its advantages can be read on my friend Heena's blog post here. This is a multi-tasking cleansing oil to gel that works as a makeup remover as well as a cleanser. If you are wearing makeup just apply as a makeup removing oil on dry skin and massage to get rid off the makeup and then rinse off with water. Once it comes in contact with water it foams up and removes all dirt and impurities. So basically it does the job of the Korean double cleansing all by itself. This is the most popular product from the range. A serum with superior moisturizing properties this product can be applied after cleansing the skin. It forms a protective moisturising barrier on the skin and keeps it hydrated for really long hours. It is non-greasy and lightweight and makes the skin supple and soft with an youthful glow. The final step is using this cream which is rich in minerals and amino acids. The powerful antioxidants present in green tea makes this cream an ultimate hydrating and protecting agent for the skin making it plump and luminous. This is how one can impart antioxidants in their skin care routine too. 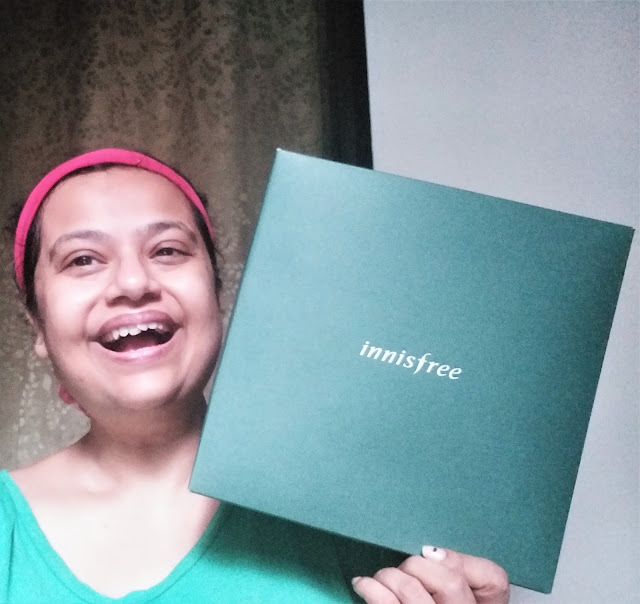 Innisfree Green Tea range is available on Nykaa. 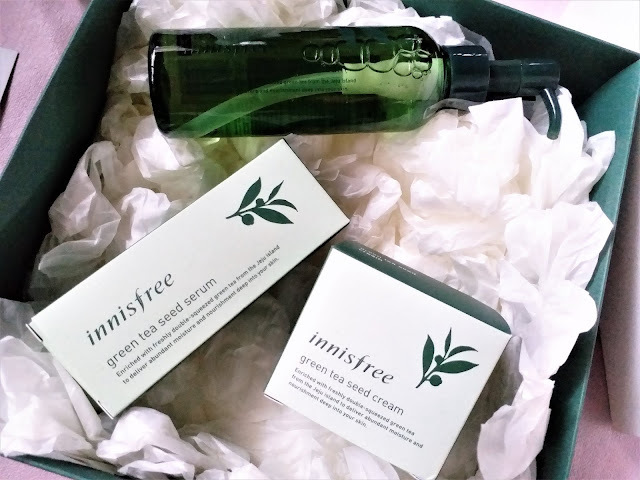 Have you used Innisfree Green Tea range? What are your thoughts?